Coming up with a good title is one of the most important, and often most challenging, aspects of finishing a book. Here are 94 tips, ideas, and examples to propel your imagination and take you one step closer to finding the right one. From the lessons of successful titles to formulas that make it easy, there are many, many different ways to name a book. 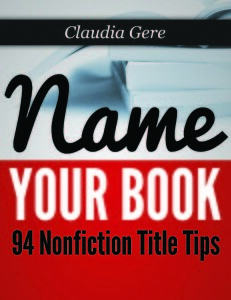 Give your book a title that attracts the attention it deserves.